“The most obvious difference between nineteenth-century novels and twentieth-century novels is that the nineteenth-century ones are better.” This blunt claim from the philosopher and novelist Iris Murdoch is characteristic. But it is her explanation that deserves our consideration. Murdoch goes on to contrast these with two sorts of novelists in the 20th century—“existentialists” and “mystics.” The existential novel, she argues (and Murdoch literally wrote one of the first books on Sartre), is the natural heir of those 19th-century worlds. It is just that now God is dead and we are all we’ve got. Or rather: I am all that I’ve got. It is the loneliness of that “I” that is most acute. “The individual in the nineteenth century was rarely lonely because he was held secure by God and Reason and Society.” And now? One is left with nothing but his or her own willpower. Hence our angst. Even as Murdoch identified these two paths for the novel in 1970, she wondered if another possibility was emerging or called for. “Is some very much deeper change now coming about; and what is the place of literature in this scene?” she asked. She confessed the question was unnerving: There was something “here which haunts one and which is not too easy to formulate. Has literature always depended on a sort of implicit moral philosophy which has been unobtrusively supported by religious belief and which is now with frightful rapidity disappearing?” One can hear Murdoch wondering about a kind of novel on the far side of the death of God and his substitutes, a bracing fiction that is haunted not by a lost past but a revenant from the future that would revisit us with what we thought we were done with. Iris Murdoch: "Has literature always depended on a sort of implicit moral philosophy which has been unobtrusively supported by religious belief and which is now with frightful rapidity disappearing?" It turns out Iris Murdoch was already writing these novels, which is why she deserves our attention now in the 21st century. This year—the centenary of her birth and the 20th anniversary of her death—is a fitting occasion to revisit her work. We in the United States might not have been ready for Murdoch in her lifetime. She wrote in and for a post-Christian world that has only more recently become our shared experience. She wrote for a world that is now our milieu. For this reason Gary Browning’s book, Why Iris Murdoch Matters, is timely and suggestive, (even if, in the end, Murdoch deserves a better book). The strength of this volume is an encapsulation of her philosophical relevance for today. The newcomer to Murdoch will find serviceable summaries of her metaphysics, ethics and politics, all of which are intertwined around enduring themes that suffuse her fiction as well. Murdoch found her voice during World War II alongside other notable women, including Mary Midgley, Elizabeth Anscombe, Mary Warnock and Philippa Foot (a lifelong friend of Murdoch’s). Midgley has suggested that the forced absence of men from the academy during the war gave room for these women to imagine philosophy differently, space to refuse what she described as the “brash, unreal style of philosophizing” that would normally have dominated the faculty common room. Ethics left in the hands of philosophers became one more epistemic puzzle. The problem of the moral life was construed as either ignorance or paralysis in the face of moral dilemmas. But Murdoch knew this was all a smokescreen. The source of our moral problems is not that we do not know enough; the problem is us. “In the moral life the enemy is the fat relentless ego,” she wryly remarked. The enduring obstacle of our swollen, self-absorbed egos explains why The Sovereignty of the Good feels so contemporary. While the essays within were all written in the 1960s, the diagnosis of our moral sloth is perennial. In an appreciative reflection on “Dame Iris,” the philosopher Charles Taylor has rightly pointed out that Murdoch does not just ask, “What is the good life?” She asks a more disruptive, unsettling question: “What is it good to be?” And given how the world is and what it means to love our neighbors, “what it is good to be” might not look like a “good life.” It might look like a life of suffering and death. It might look like the lives of saints and martyrs. The enduring obstacle of our swollen, self-absorbed egos explains why Iris Murdoch's The Sovereignty of the Good feels so contemporary. It might seem odd to suggest our problem is self-regard when so many people are clearly passionate about justice. But Murdoch provides tools to see that much that we call justice is the equal-opportunity expansion of the claims of the ego. In one sense, this is the correction of a certain unfairness—that self-regard used to be a luxury for a privileged few. But we are just leveling the playing field of self-absorption rather than disrupting the self at the center. For Murdoch, the life worth leading is a life that leads to others, to a beyond, to an other. The moral self is pierced, porous, opened. This vision of unselfing is related to a second central theme in her work, something she appropriated from Simone Weil: the moral significance of attention. “If loving attention is bestowed on others,” Browning summarizes, “then the self is changed.” By attending to the world, to something outside of the self, the self is pulled outward, stretched, grows. Attention, as Murdoch describes it, is “a just and loving gaze directed upon an individual reality.” And it is this, she says, that is the distinguishing mark of a “moral agent”—not will or intellect but the capacity to attend, to notice, which is its own kind of love. It may seem odd, but this, in fact, is what Murdoch, in her wonderfully idiosyncratic way, means by “Platonism.” At the end of the day—the secondary literature be damned—“Platonism” for Murdoch is the recognition of a reality beyond my making and preference, an objectivity that calls to me, to which I owe a just attention. Plato wakes us up to what Matthew Crawford has called, more recently, The World Beyond Your Head, the others we do not notice when the selfie-sticks of egoism are cemented to our face. If one can learn to attend, unselfing can happen in the most unlikely of places, including places that do not look all that “moral.” In The Sovereignty of the Good, Murdoch starts with examples of nature slicing into one’s field of vision, like a hawk’s reflection carving across my iPhone’s screen, pulling my eyes up to the sky. I am looking out of my window in an anxious and resentful state of mind, oblivious of my surroundings, brooding perhaps on some damage done to my prestige. Then suddenly I observe a hovering kestrel. In a moment everything is altered. The brooding self with its hurt vanity has disappeared. There is nothing now but the kestrel. And when I return to thinking of the other matter it seems less important. Such experiences, she says, are preludes to morality, practice for attending to other people. She suggests the same can be true of art, since “beauty is the only spiritual thing which we love by instinct.” (Henri de Lubac, S.J., who emphasized our natural desire for the supernatural, might beg to differ.) Indeed, her definition of “good” art is what “affords us a pure delight in the independent existence of what is excellent.” It kindles love in the highest part of the soul. In fact, “considered as a sacrament or a source of good energy,” art is “more edifying” than nature in this respect because attending to a work of art not only pulls me outside of myself, it also pulls me into a relationship with other people, with creators. In art, I encounter not only something not me but the product of someone not me. That is the beginning of the end of egoism. 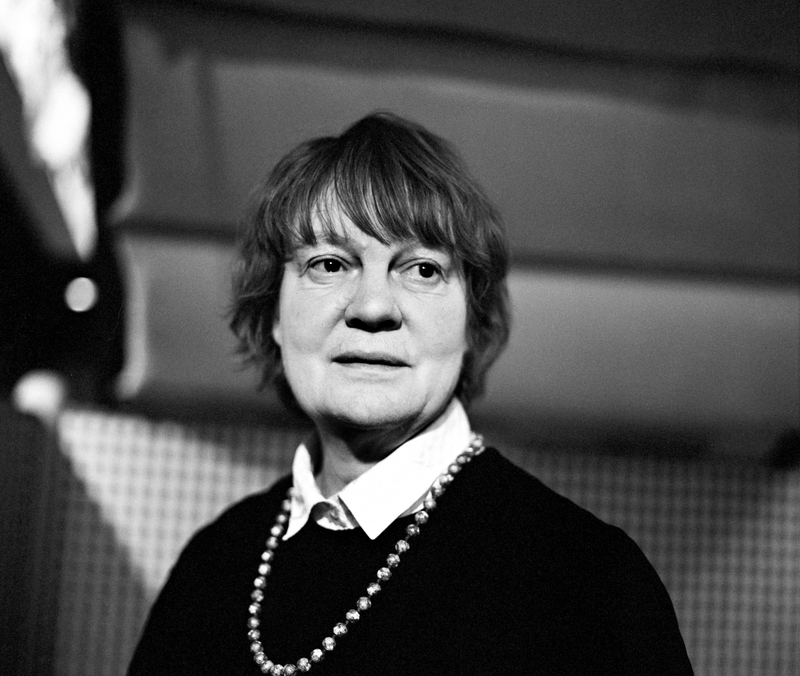 For Iris Murdoch, the life worth leading is a life that leads to others, to a beyond, to an other. Not surprisingly, Murdoch often mentions religion as another source of unselfing. But her account of religion—and the slide from God to the Good—is both helpful and frustrating. On the one hand, Murdoch reads like an advance scout for a secular age. (It is no surprise that Charles Taylor confesses his own debts to Murdoch, even as he disagrees with her.) As Browning notes, Murdoch “recognizes the prevailing loss of faith in large scale beliefs in many fields and sees a reconstituted metaphysics as a way of dealing with the loss of concepts that underpin morality and personal development.” Metaphysics, in the language of her Gifford Lectures, is a guide to morals when God and religion are no longer viable. Because if we are going to be moral, if we are going to find what it is good to be, we need a beyond, an outside, an other. This amounts to a kind of “transcendental argument”—very much akin, then, to the work of Taylor. The difference with Taylor is that while he recognizes this loss, he is more willing to press the unsustainability of naturalistic alternatives and argue for the necessity of a transcendence that Murdoch too easily assumes could never return. In her essays from the 1960s, Murdoch believed that “religion, in its encompassing commitment to experience as a whole, continues to serve as a support for morality even if its magical aspects are no longer sustainable.” But for how long could that be true? Is the moral import of a demythologized religion just like the glow of the sun after it has dipped below the horizon, with dusk and dark in its trail? Murdoch’s optimism in this regard smacks of a denuded moralism that has proved inadequate to the task. I want this to be true. But I also know that Hitler listened to Wagner and the Nazis adorned their lairs with stolen paintings by the greats. One could imagine all sorts of ways that experiences of artistic transcendence could be preambles to religious encounters. (The films of Terrence Malick come to mind, for example, or the immersive experience of a Rothko canvas.) As the philosopher Jean-Luc Marion once remarked, even our idols are “low-water marks of the divine,” harboring a capacity to entice beyond the simple recognition of them as idols. But for all that, art functioning as a portal beyond ourselves seems to require an internal work and capacity that is sourced from elsewhere. We live in an age where even the sad splendor of “Roma” can be subject to Netflix-and-chill domestication by swelling self-regard. In other words, the sort of attention that Murdoch rightly extols as essential to the moral life is not merely provoked by some objective outside force. It turns out that something—Someone?—has to also cultivate in us the capacity to attend. When George Bernanos’s country priest finally recognizes that “all is grace,” it is not because he has just noticed something beyond himself. He has been graced with a hermeneutic to read it, to attend. The transformation is internal as much as external. James K. A. Smith: "Is the moral import of a demythologized religion just like the glow of the sun after it has dipped below the horizon, with dusk and dark in its trail?" While Browning is right to argue that Murdoch (still) matters, he does a disservice to Murdoch in significant ways. Rather than providing a window into what makes Murdoch so enticing—her stylistic capacity to write in voices that are variously incisive and supple—Browning’s prose bricks up almost every portal of light. One might have hoped for a book that more closely matched the enticing grace of Murdoch’s style. The charge of her fiction is often fueled by a foreboding that is just beyond the natural, a paranormal presence that vaguely lurks, making us wonder whether this is all there is, whether the natural is surrounded (or infected) by a super, a beyond. Murdoch’s fictional worlds often make room for the monstrous—or, in a way that befits modernity, something that might be monstrous but that we might also be able to explain away (and might very much want to). This is matched by plotting that can be at once languorous and taut with tension, a prose that, for example, lopes through warm meadows with a character while something ominous hovers on the edges, overhead, in the grass, threatening from the future. One feels none of this in Browning’s book. A reconsideration of Murdoch could go straight to Murdoch herself. Start with The Sovereignty of the Good, a deceptively accessible little book, or shamelessly roam about the omnibus collection Existentialists and Mystics, which is an excellent introduction to the range of her thinking on philosophy and literature. And many of her novels remain timely. The Sea, the Sea, for which she won the Man Booker Prize, is an almost Proustian investigation of an unreliable narrator’s fat, relentless ego. Reading Iris Murdoch’s fiction is an experience of frisson. She can provoke a chill that is both eerie and thrilling. I might suggest one of her often overlooked novels as particularly relevant today, showing Murdoch to be an incisive psychologist of the lure of the so-called Benedict option. In The Bell, a tiny band of faithful, unnerved by the pressures and pace of the modern world, aim to establish a quasi-monastic lay community on the grounds of Imber Abbey. Even as the community and village are preparing for the unveiling of a new bell for the abbey, gothic tales of illicit love and death attend stories of the lost bell somewhere at the bottom of a lake—itself a murky presence that lurks throughout the story. Iris Murdoch creates a world that mirrors our own, with all of its cross-pressures and stubborn hopes. Even if the story devolves into melodrama at the end, with a touch of hijinks and too-neat coincidences, the novel exhibits many of Murdoch’s literary strengths: a pacing that is invisible but felt; a capacity for description that is mesmerizing, as in her ornithological marking of time (“the sedge warblers were gone”); the ability to inhabit the standpoint of a variety of characters and bring them to life. It is not a perfect book. Nevertheless, she creates a world that mirrors our own, with all of its cross-pressures and stubborn hopes. While those who had gathered in the precincts of Imber’s grounds were concerned about the incursions of the world, it was the excursions of the amphibious nun that surprised them and saved Dora. The amphibious nun answered the call from inside the cloister, willing to relinquish her modesty and risk a vow for the sake of someone “outside.” Perhaps, in the end, Murdoch could teach us to be amphibious, at home in the not yet but willing to swim out into the now to reach those flailing. But such a calling could only be sustained, not merely by “the Good” but by the grace of an amphibious God who stripped himself to nothing and swam to us in the flesh. I enjoyed reading this essay. I have not read Ms. Murdoch’s novels, but I did read Metaphysics as a Guide to Morals and liked it. I also read an essay by Fr. David Tracy in which he discussed her “Platonized Buddhism”. Attention to the Good to help correct, indeed negate, the unethical tendencies of our often overweening egos. Your intriguing mention of our amphibious humanity and an amphibious God swimming to meet and save us adds a note of Christian hope. I also think it would be a connecting point with the fullness of Asian philosophy and religion which is also amphibious as Dragons are often amphibious. Thank you for publishing this essay in America magazine. Thanks, will give her a look or two. This article also appeared in print, under the headline "The moral vision of Iris Murdoch," in the issue. James K. A. Smith is a professor of philosophy at Calvin College and the editor in chief of Image Journal. His next book, On the Road With Saint Augustine, will be published in October.